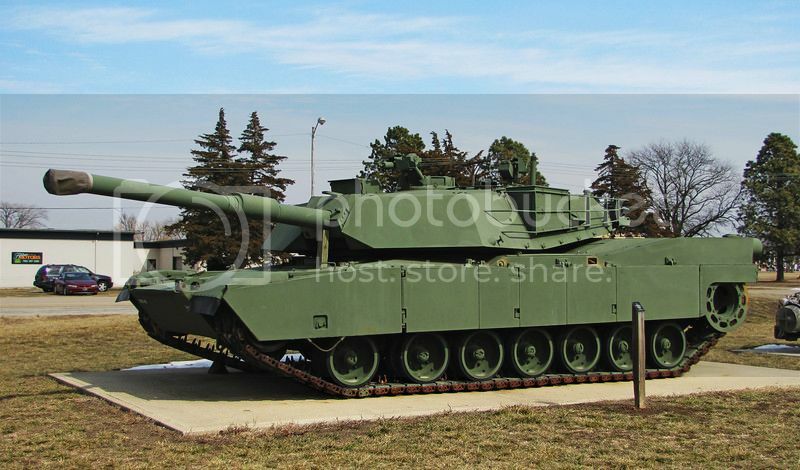 I knew I was getting old(er) when I saw a First Generation M1 Abrams sitting on a concrete pad in a park II think the Army is on it's 4th generation now - or is it third?). I remember when this particular version was high-tech cutting edge technology. Heck I remember the day the Army had a big roll-out for the press in the Spring of 1981. Finally we had a tank that could beat the Soviets. Now it's a static display for five year olds to play around on. 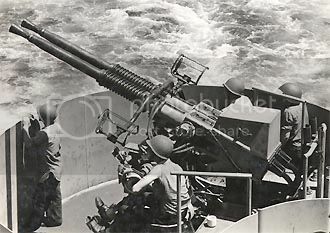 I commanded one of those first generation Abrams and now if I tell a young kid that he/she will look at me like I looked at a WWII veteran when he told me how he used to operate a dual 40mm Bofors gun on an aircraft carrier in the Pacific. That was in 1974. The Bofors gun was (and still is) a static display in the city park in Rigby, Idaho. What goes around comes around I guess. Last edited by Jcordell; 08-14-2016 at 03:51 PM. In the parks around me, one has a Howitzer, a Sherman tank, a Vietnam era Huey. That's probably one of the mild steel prototypes. As far as I know, the ceramic armor on the M1 is still classified. The Army Ordnance museum used to have one, but I think they lost it to the Patton Museum. If it makes you feel any better, the Bradley I crewed is now in the National Infantry Museum. Something having to do with being one of the first Bradley into what was then Saddam International. The city of Mountain Home, Idaho,(about forty miles east of Boise) has an M1 on static display. Mt. Home has an Air Force base so it didn't come from there. Anyway you're probably right about the steel. I had a secret clearance back in the day and went through training about the steel as well as the depleted uranium sabot rounds. However I'm talking about the fact that I'm now experiencing things that I never though about twenty-seven years ago when I was commissioned as a 2nd Lt. ,armor branch, Army Reserve. Back then I didn't even consider the fact that one day I would be one of the middle-aged veterans. I later went on active duty as an enlisted man (1993-2000). There was a bad recession in full swing at the time and I needed a job. I could get active duty as an enlisted man. At the time their were very few slots for junior officers in the Regular Army. The commission looks wonderful framed and hanging on a wall, but I couldn't eat it and it wouldn't pay the bills. During that time I met many Korean, Vietnam and WWII vets. Even in the late 90's there were still a small number of Vietnam War vets serving on active duty in the Army. My last duty assignment was with the 10th Mountain Division at Fort Drum, New York. In the summer of 1999 the division hosted the reunion of the 10th Mountain WWII vets. The division saw heavy combat in Northern Italy during the last six months of the war. Those guys were great, but I never thought that one day I might be an old vet wearing a funny hat. I'm real close to fifty now and that time is on it's way. Seeing an M1 Abram in a park on display is one of those milestones. I get the definite impression that I am probably one of the oldest members here on imfdb. Where's my cane and glasses? Last edited by Jcordell; 08-10-2016 at 05:20 PM. The Marines my age went to Iraq in the early 2000s and they were just out of high school and now...they look at the new guys coming in and they always tell me about feeling old and they are like barely in their 30s now. They talked to me about the new gear the kids get these days. Qualifying with an ACOG instead of iron sights like they did. I lie and tell my self that they put in a museum because of historic value; not the fact that it was an older variant.